How to align text on the whitespace after the first word character in vim. 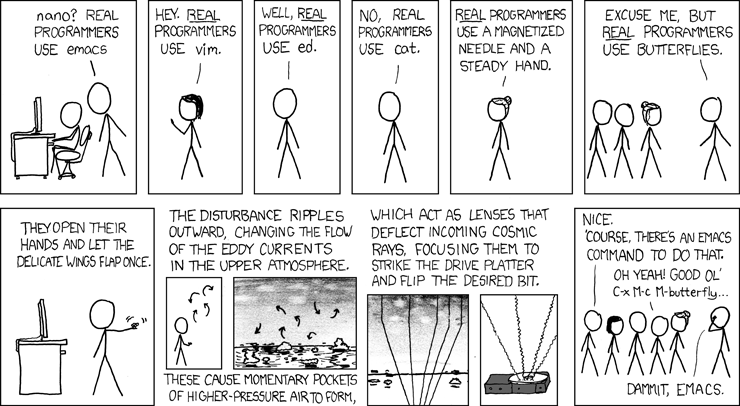 The tale of why I chose Vim over Emacs and any IDE. Today I decided to make my factory_girl factory definitions look a little bit more pretty. My tool of choice for alignment in Vim is the famous Align plugin. It turned out the task at hand is not as trivial as one might think at the first glance. By additionally harnessing the power of the mighty vim regexp the solution is so damn simple that I almost cried because I wasted 10 minutes on this, so here is my solution. Recently while setting up my vimfiles for version control I encountered a problem with git submodules. The plugins are included as git submodules and loaded up with pathogen. For those interested in details on how this works, there is a Vimcast available on this topic. Some of the plugins need to generate helptags or other files that will mark the working tree dirty. There is a very simple way to prevent this, but it is a little tricky to find out what is needed to make it work, that’s why I decided to write a blog post about how to do this. How to apply Naive Bayes Classifiers to document classification problems. Machine learning, a branch of artificial intelligence, is a scientific discipline concerned with the design and development of algorithms that allow computers to evolve behaviors based on empirical data, such as from sensor data or databases. In this blog post I will introduce a simple theory-meets-practice example showing how to classify documents using a Naive Bayes Classifier together with a supervised learning strategy. While working at an upcoming blogpost, I encountered the problem of extracting some plain text from HTML. If I was interested the whole plain text, I could just run html2text in bash and feed it with the HTML, but what I needed was just a specific part of the plain text between two certain comments. As it was hard to google a simple solution for this I decided to share mine. Some of the first semester students participating in the lecture Algorithms and Datastructures where I am working as tutor seem to have problems understanding how parameter passing works in Java, so I decided to do a little writeup on this. The most confusing part seems to be the passing of object references to methods, so I will mainly put the focus on this. But let us start with primitive parameters first. How to embed actions within every match of a one-or-more ( rule+ ) or zero-or-more ( rule* ) rule in ANTLR? Yeah, well, the particular task is very simple if you know the solution. But when you are just getting started with ANTLR it is not that obvious what kind of things you can do within a grammar, and what you can not. I looked around the web for a while, but it was difficult for me to find a solution, so I will share it here. As you can see I have reworked my website. I thought it was time to become a little bit more serious and get rid of the senseless rubbish. For the future I will write 95% on programming or Computer Science in general. Hopefully there will be some more valuable posts and a higher rate of posts per month. You may also have recognized that I write in English now. In my opinion it is necessary to have good English skills, especially as a programmer. Most of high quality literature is only availaible in English, open source projects communicate in English, API’s and manuals are in English and so on. So, I hope to improve my writing skills in English and I hope to reach more people than before. But wait, what about the category German ? In my humble opinion some of my old articles are worth keeping them. At least some people discovered them through google, so they seem to be valuable somehow. I’m looking forward to get some comments on what I have done so far, and especially on the future posts!